There must be something innate in humans, that in times of great need they feel urged to pray, to someone, anything. It looked like a desperate situation and it would surely take a miracle to rescue just one of these youngsters, let alone the entire group. Outside the cave the families and friends of the boys gathered. Buddhist prayer rituals, food, hospitality, encouragement – even haircuts! – were all in evidence, but in a quiet, gentle way. Media were kept at a respectful distance. There was anxiety and tension but also a sense of calm, patience and above all gratitude and respect for the volunteers prepared to find and rescue these young lads. No shouting, hysteria, demonstrating, pushing or shoving. But there were odd things that resonated with me as a Christian. In fact, as I think back, I believe God’s hand was very evident in this. Firstly, there were 12 young lads with their leader/coach, stuck in a very dark place, crouched on a narrow ledge above rising waters. Cut off from their families and the outside world; they depended on their leader. You might say it was a wilderness experience. One of the boys – a refugee from Burma – was a Christian, and the only one with any English. He was able to speak with the first divers who found them. The others were Buddhist and their coach had trained as a Buddhist monk. What struck me was the spiritual awareness of the group. Their coach was vital in keeping up their morale and he did this by putting the needs of the boys first. He went without his share of the meagre food they had and kept their spirits up by praying and by encouraging the boys to meditate and remain calm. He knew each of them very well. They felt safe with him, with his calm reassurances that help would come; they were not alone or forgotten. Remind you of anyone? A team of experts from across the world was assembled. All volunteers, all with exceptional and very specific skills, perfectly matched to the daunting task in hand. At first, they thought the boys would have to remain in the cave for months, until the end of the monsoon season. Unimaginable! But such a rescue – with so many small people to be saved – had never been undertaken before. As I prayed one evening, when I learned details of the bold and dangerous rescue plan, I had a vision of the Old Testament story in Exodus, telling of the crossing of the Red Sea, when the people were fleeing from their oppressors and things looked very bad indeed. Behind them their enemies; in front of them the sea. But God told Moses to stretch out his staff and the water moved aside, leaving a dry path for the people to cross. In the cave in Thailand, massive pumps were set up to reduce the water levels, to maximise a safe passage for the rescue. The pumps worked non-stop for days, drawing thousands of mega-litres of water out of the deep passages. The rescue began and one by one the trapped lads were carried out. The mission was a race against time, against the impending monsoon rain that could come at any moment. The wait was agonising, even though everyone knew it all had to be done slowly and very, very carefully. But the pumps held, the water levels stabilised, the boys slowly emerged from the cave with their coach coming out in the last group. Then the last of the rescuers themselves had to clear from the deep cavern. Time passed so slowly, hours went by before the last person emerged. 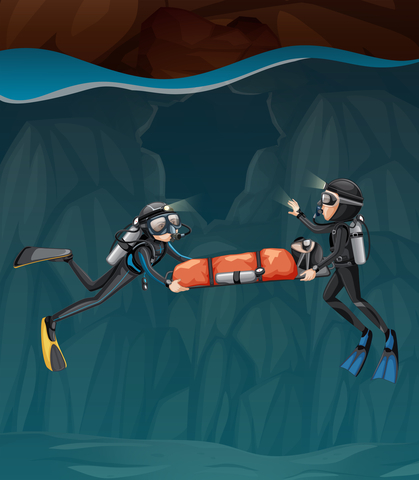 Just as they cleared the underwater section of the cave, the pumps failed. The waters surged back. It really was a ‘biblical moment’ for me. I envisaged God’s hand holding back the waters, just long enough for the rescue, releasing them at exactly the moment of completion. That gave me goosebumps! Prayers had been answered. It was a great result. A ‘miracle’ indeed. Even though weeks have passed I’m still thinking about it all: the different culture, the way a team of volunteers descended upon this remote area of the world; the perfectly honed skills of the rescue team; our wonderful God. But I still wonder how different things would be if this had happened in a Western, developed country. These young soccer players spent a few days recovering in hospital, and again while the media remained at a respectful distance, there was no wild celebration as there might have been in Australia. Once reunited with their grateful parents, all but one of the boys spent time as novices in the Buddhist monastery. This was entirely natural in their culture, their quiet way of giving thanks. No fancy presents or rewards or offers of high-paying TV interviews or guest appearances. Sure, Buddhists aren’t Christians, but their spiritual awareness and uncomplicated reliance on their faith is perhaps to be admired. Can we learn something from all this? I know it has given me pause for thought. And it re-affirms my conviction that prayer and our God can overcome anything. Even when it looks like a ‘mission impossible’. 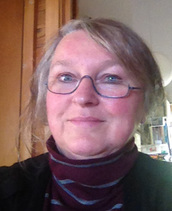 Sheelagh Wegman, BA, IPEd Accredited Editor is a freelance editor and writer. She sings in the choir of St David’s Cathedral in Hobart and lives in natural bushland on the foothills of Mt Wellington.